Chalet 1 has been completely renovated with new double glazing and insulation on the west wall to help keep the house warm. 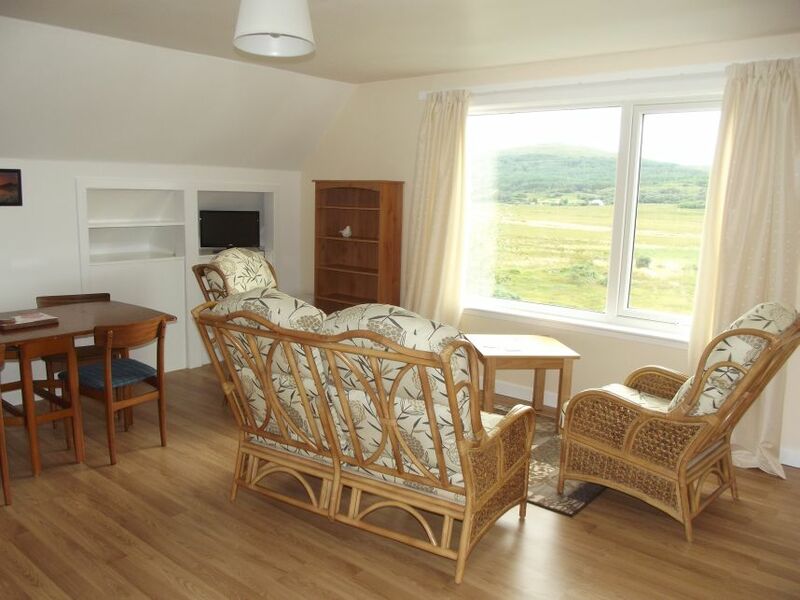 The chalet is bright and fresh with comfortable furniture in the large living area. Each cottage has an electric radiator in the main rooms with a fan boost for when it is a bit chilly. 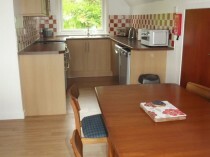 The kitchen has been replaced with a new design giving more cupboard and worktop space. 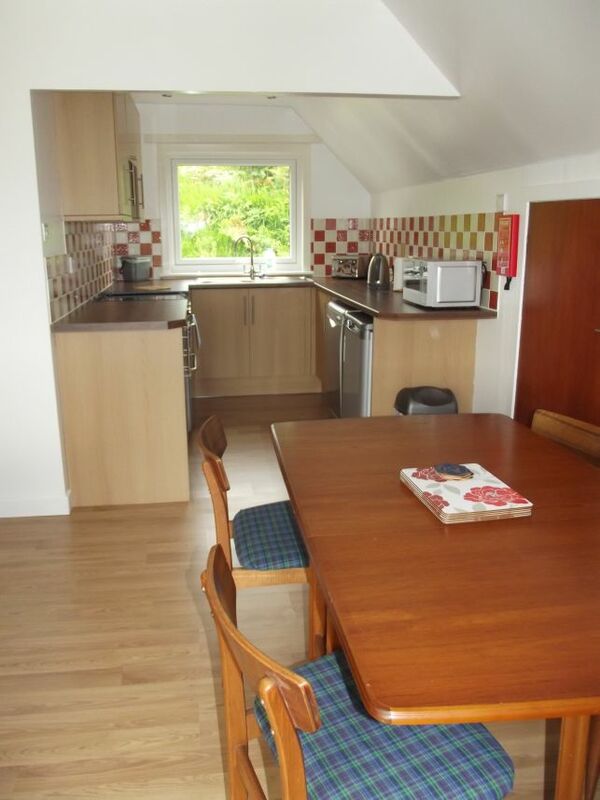 It includes new appliances, as well as a cooker hood for ventilation. All the items needed for catering are present for your use. The bathroom has new white china, bath with a shower over and an extractor fan. 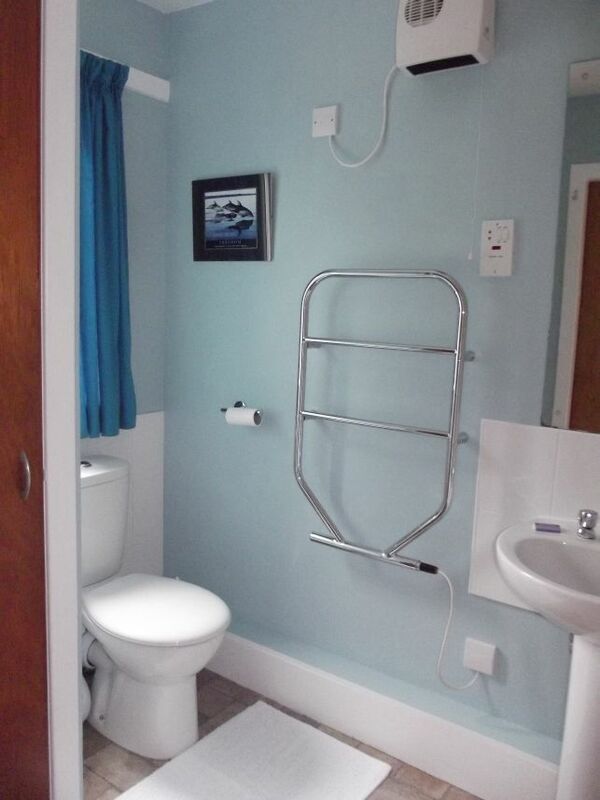 The heated towel rail provides warmth together with a fan heater. 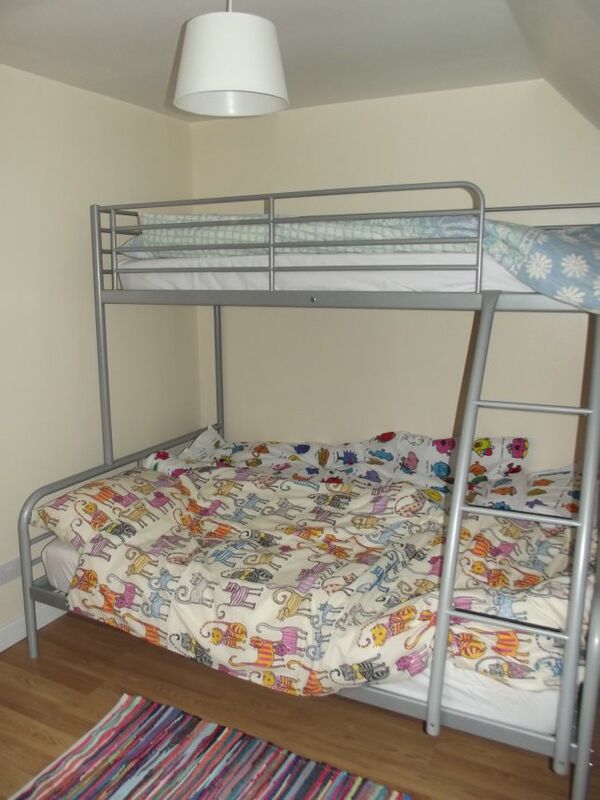 Bedroom 1 had a double bed and the second bedroom has a modern style double base with a single over bunk bed. 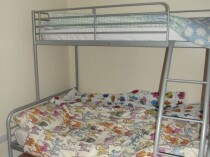 This can also be made up with single bedding as shown for three children. 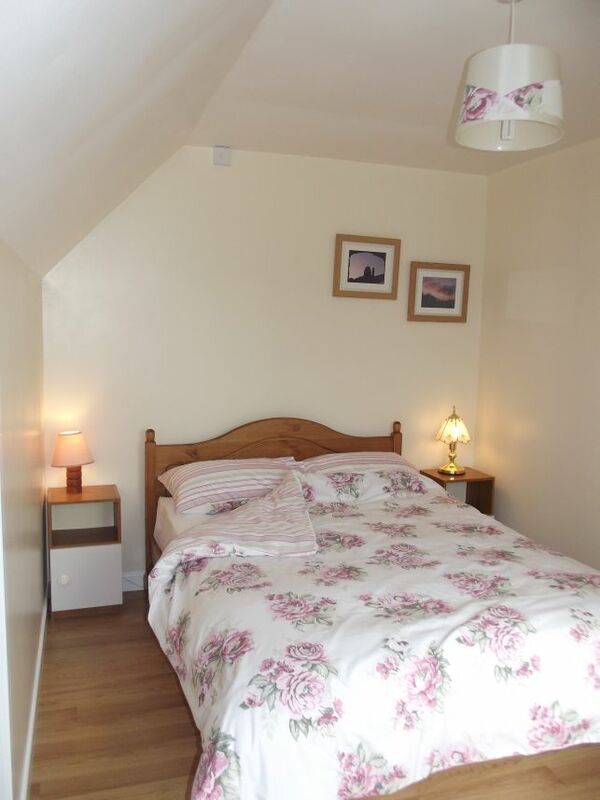 There is a single bed as well. 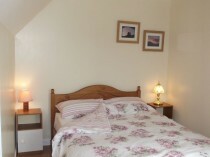 There is a hair dryer provided as well as a hot water bottle and extra blankets and pillows. 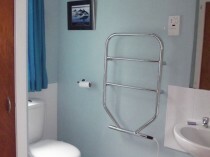 Wall heaters are provided in the chalet to provide a boost of heat when needed.